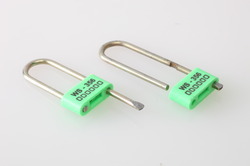 We are a leading Manufacturer of padlock security seals and plastic padlock seals from Mumbai, India. We are engaged in offering quality Padlock Security Seals to our valuable clients as per industry standard. Our products are highly appreciated by our clients and know for their quality range and performance, these are easy to handle and cost effective. 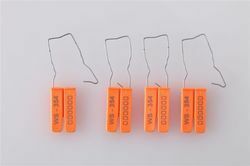 We are one of the prominent manufacturer and supplier of wide quality range of Plastic Padlock Seals, these products provide security assurance to the consumers, these industrial padlock seals are know for their high performance and quality, our products are as per industry parameters.